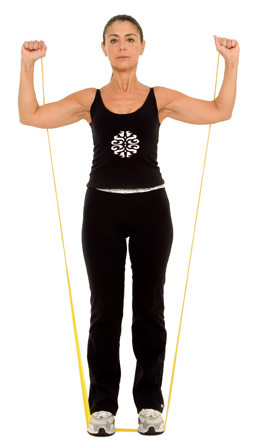 Proceed to bring the bands to your side at eye level, shoulders rotated up. Resume the starting position. Repeat 10-20 times.